100Creations: Review: Hanna Maciejewska, Hats On! One of my favorite independent designers, Hanna Maciejewska, has just released a new ebook, Hats On!. 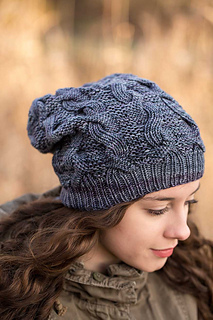 Like most of her pattern, the focus is on textures that are fun to knit, and will be great to wear. My favorite hat is Long Walks, I can see this being one I wear all the time. I would probably modify it to a beanie fit for me, but love this one too. What new pattern has caught your eye?